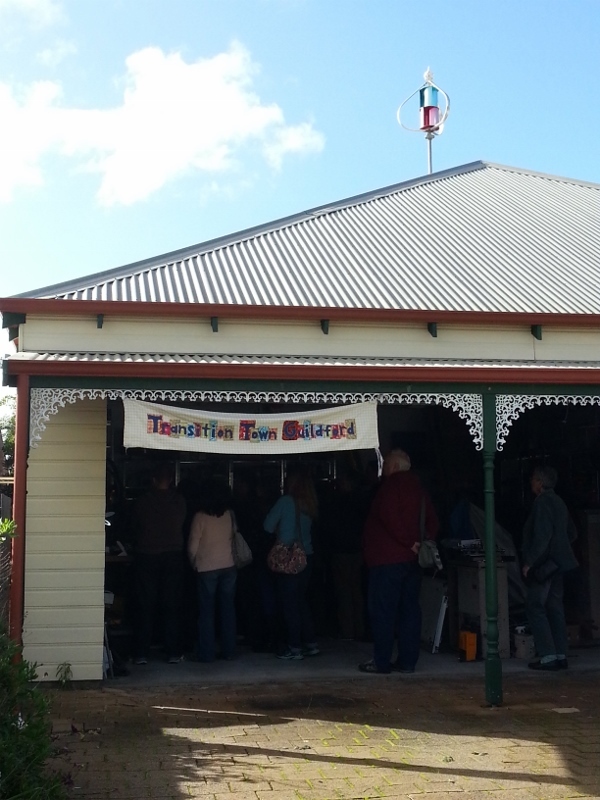 Over 25 people attended a house tour held by Town Transition Guildford’s Sustainable Homes Group on the weekend. 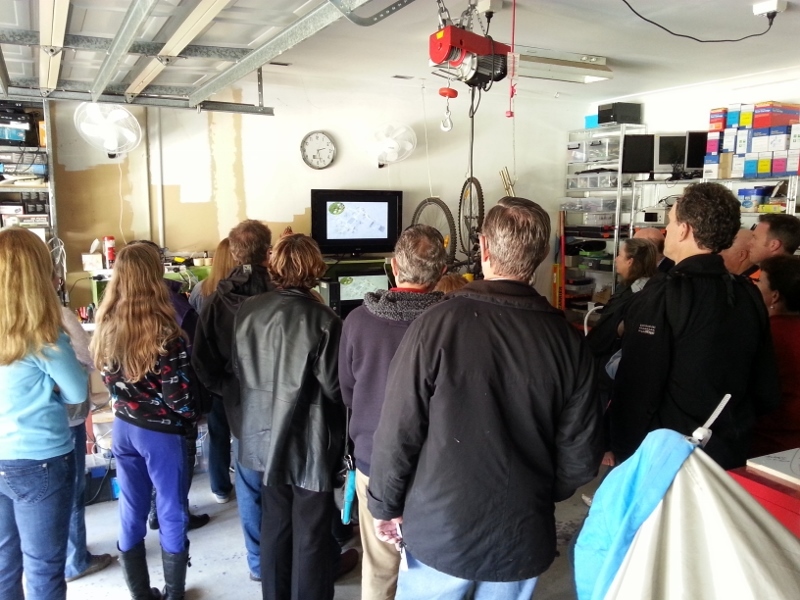 Group member Martin Chape opened up his house in Bellevue where he explained to them a number of ways of moving off the electricity grid. The Federation style home has passive solar design features and includes solar and wind charged battery banks to run low voltage lighting and other features throughout the house. The SMA Sunny Island system which allows disconnection from the electricity grid but continued use of regular 240 volt appliances was explained, as well as the importance of understanding where and how electric power is used in order to design such a system. A demonstration of the Current Cost power monitoring system showed how to track and measure power use for this purpose or to merely help reduce power use by identifying which appliances should be replaced to save energy costs. There was also a discussion on utilizing the Sunny Island system to create micro-grids for small groups of homes that wanted to disconnect from the electricity grid. Two solar-powered evaporative air coolers were also on display and an absorption cooling system that utilizes excess heat from a vacuum tube driven solar hot water system during summer. Finally members were shown a soon to be completed solar-powered hydronic home heating system also driven by vacuum tubes. The systems demonstrated may be viewed on Martin’s Facebook page and several are the subject of his articles published in Renew magazine. 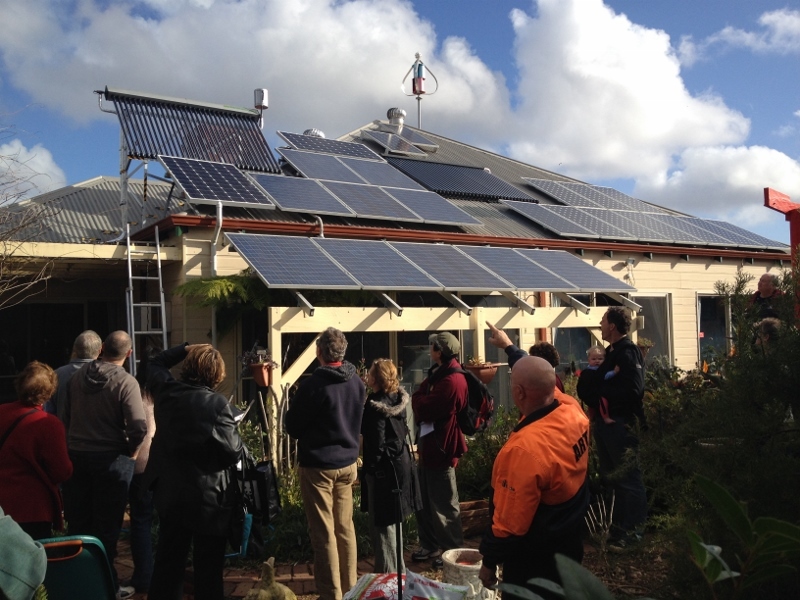 The high demand to attend the house tour (there was a wait list and several people missed out) shows people want to learn more about how to reduce their electricity bills, increase self-sufficiency in energy and live more sustainably. 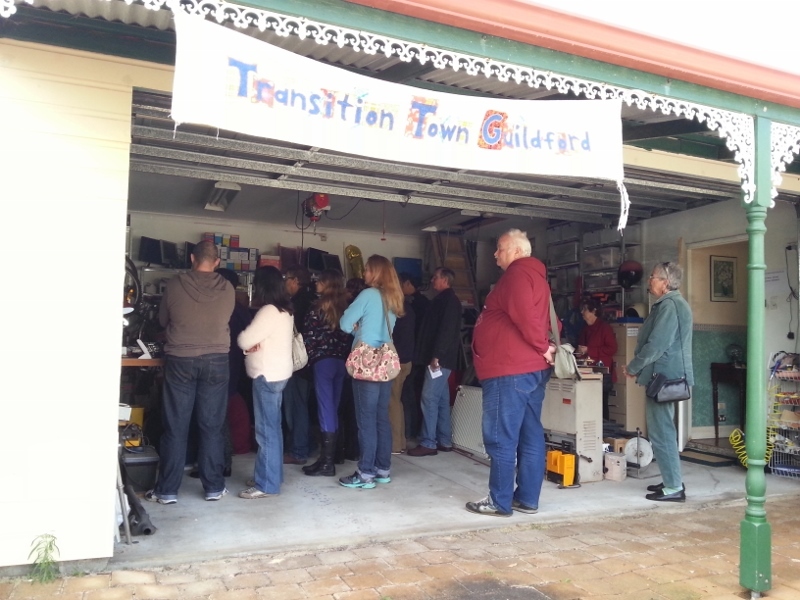 The Transition Town Guildford Sustainable Homes group aims to be a forum for people to ask questions and share knowledge about all things related to building, renovating or renting a sustainable home (especially in the eastern suburbs of Perth, WA). 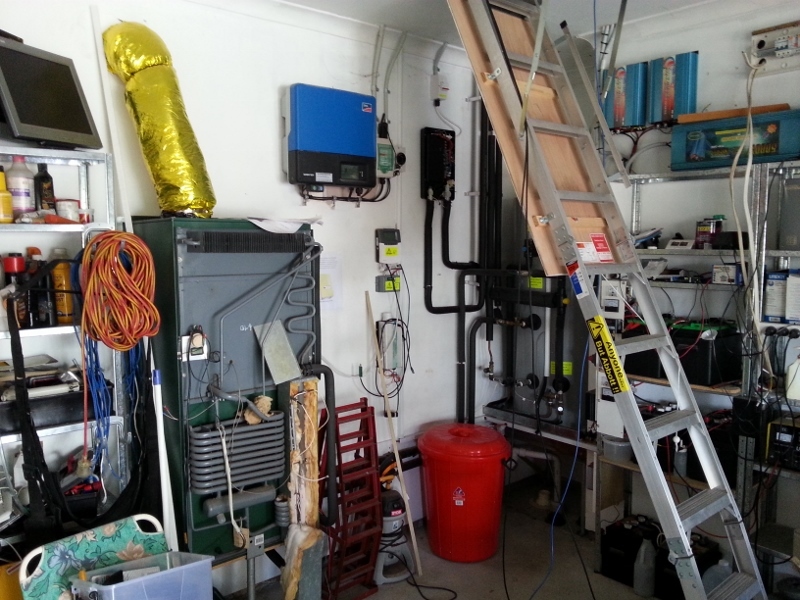 This entry was posted in Event, Sustainable Home and tagged Bellevue, DIY, Martin Chape, Passive Solar, Solar PV, Sunny Island system, Vaccum tubes. Bookmark the permalink.